The 2019 Callaway Supersoft Golf Ball is new and improved. With advanced HEX aerodynamics that have been optimised to reduce drag, produce a higher ball flight and offer longer carry distances. The ball has an enhanced feel with a softer cover incorporating lower compression. The new Supersoft is super long and super straight. 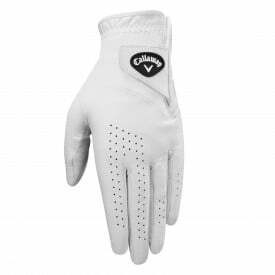 With a fantastic soft feel, offering low spin, more forgiveness and longer, straighter shots. The 2019 Callaway Supersoft offers excellent value for money and this improved version will be a popular choice for golfers of all abilities.